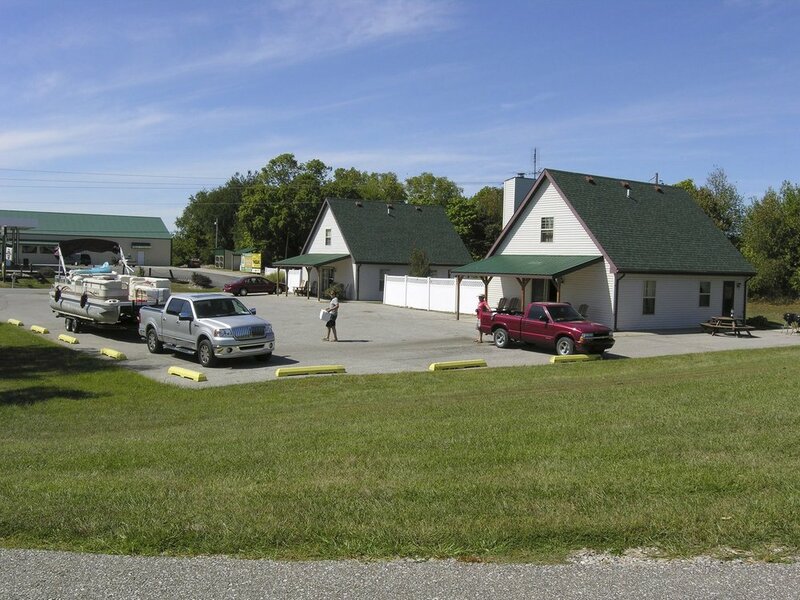 Check in at Patoka Station, located just outside the main entrance to Patoka Lake on the west side of the road. 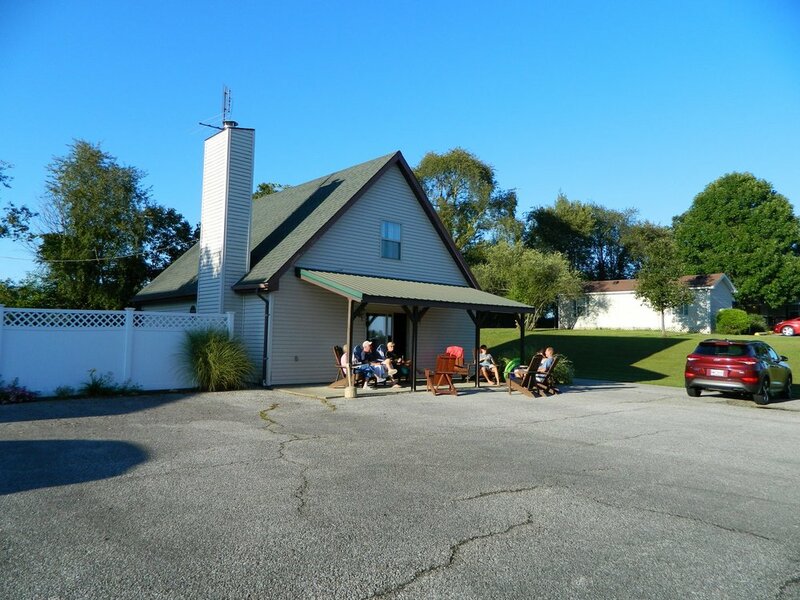 The Family Cabin is a 3 bedroom, 2 bathroom cabin located in the Patoka Lodging complex, across the street from Patoka Station. Save by booking midweek or stay a week and save even more (see special deals). Minimum 2 night stay required. To make reservations you must be at least 21 years old and have a credit card. View reservations info, and rental terms and conditions. Shares a large common parking area with the Duplex Cabin. Parking available right outside the cabin. 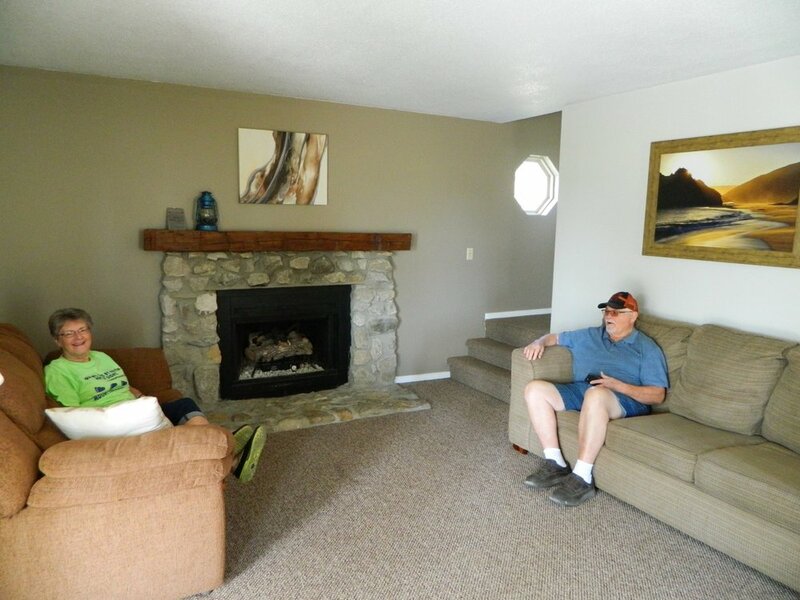 Featuring comfy couches, a fireplace, and a TV/DVD player. 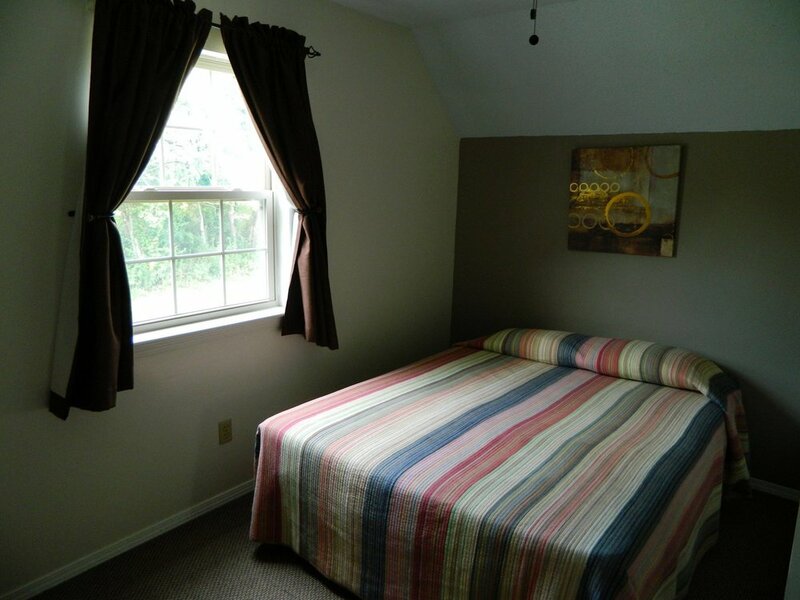 Full kitchen (with microwave and coffee maker) comes fully equipped with all cookware, dinnerware and utensils. Each of the 3 bedrooms has a Queen bed. Each of the 3 bedrooms also has an alarm clock/radio. Copyright 2003-2019 All rights reserved. Website designed & maintained by The Technological Edge, Inc.